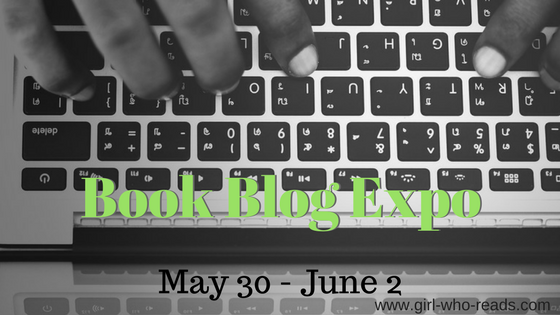 Today, we kick off the inaugural Book Blog Expo. I'm excited to meet everyone participating. Be sure to check the daily schedule of topics, challenges, and chats. Today's topic is Introductions & How to Network. My name is Donna, and I founded Girl Who Reads in 2011. 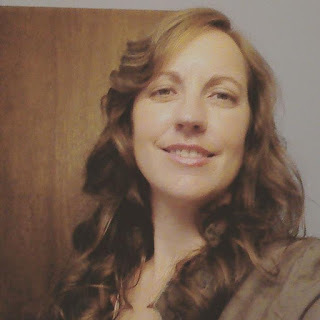 I manage a team of bloggers that includes 3 reviewers and 4 features writers. We are a daily publication that mostly features book reviews and recommendations in just about every genre. My features writers often discuss pop culture in relationship to literature and writing in general. We are open to guest posts from authors and other people in the publishing industry. You can read my team members' biographies on the About page. I can be found blogging from my couch in the living room. If I'm being really good about my blogging I will get a full week's schedule of posts all set up over the weekend. If I'm not quite so disciplined, then it is the evenings while I watch television. I manage our Twitter, Facebook, and Instagram accounts as they started out as my personal accounts. I've been thinking of separating my personal from my blog accounts, but I'm not sure if I'll get around to that. 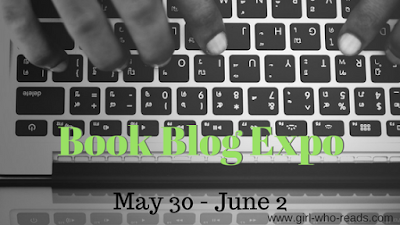 I started book blogging as a way to understand book bloggers. I was working for a publishing company at the time and was pitching books to reviewers. I fell in love with the community and decided to continue even though I don't do much book marketing as a professional anymore. I use to spend much more time blogging and participating in the community. There were always Twitter chats, read-a-thons, and other book-related online events going on when I was establishing Girl Who Reads. I participated in a number memes each week. Then some stuff happened in real life (not related to the book world) and I didn't have the energy to do much more than get out a few reviews. My blog was pretty well established at the point and I didn't want to see it end so I took on a few reviewers to maintain a daily posting schedule. Life rebalanced itself and I found that I missed a lot of the early interactions I had with the community. I always participated in ArmchairBEA, which is why I wanted to continue the tradition with this new networking event. I've also picked back up on a couple of memes - It's Monday! What are your reading? hosted by Book Date and First Chapter, First Paragraph hosted by I'd Rather be at the Beach. I only participate once a month in the Monday meme. At first, it was because I would be reading the same book for several weeks, but now it is more about the amount of time I have for blogging. I feel bad if I don't get to most of the blogs participating and to do it weekly is just too much. First Chapter, which is on Tuesdays, is a smaller meme so I do it most weeks. I rotate who's book review is being featured. I recently participated in a book marketing event for authors with Bad Redhead Media, but that was mostly to promote my book - Secrets to a Successful Blog Tour. Remember there is a Twitter chat at 8 pm EDT. Also, visit the Facebook event page for the ongoing party. Today's Instagram Challenge is Books + Other Interest(s). This is my first big blog event as organizer. I'm equal parts thrilled and anxious. I'm happy to see it catching on. Just found it and am joining in! Looks like fun. I'm glad you decided to join us. You're welcome. I'm grateful you are participating.